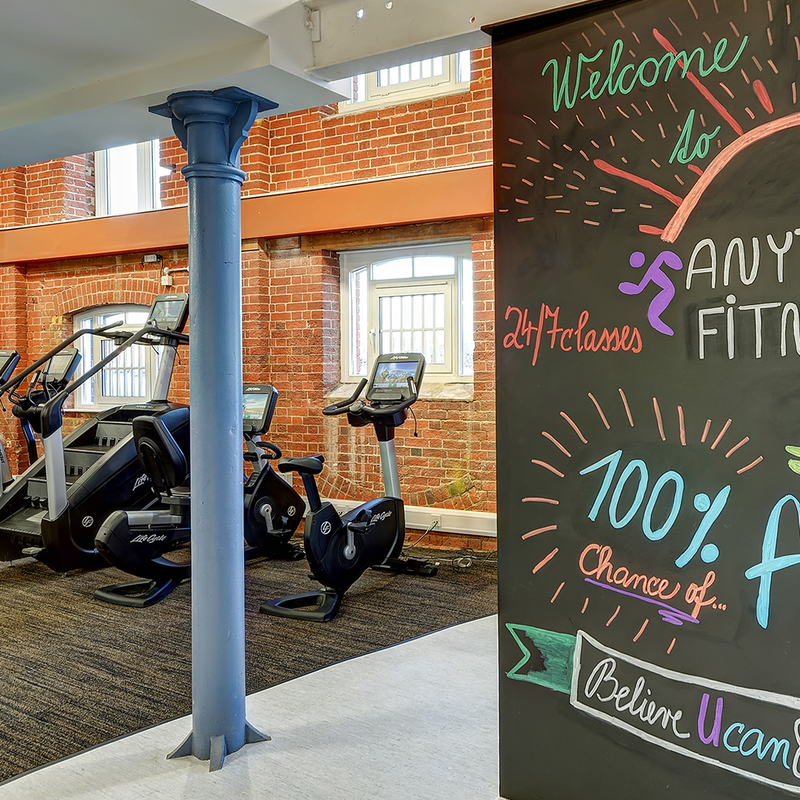 Anytime Fitness on The Waterfront is a smaller, community gym, based on excellence and convenience. We pride ourselves on being a high quality gym with top of the range Life Fitness cardio and resistance machine technology, as well as a wide variety of plate loading machines and free weights area. We also have our specified app so you are able to keep track of your progress inside and outside of the gym. We have a private studio where we run a number of classes such as Spin, Yoga and HIIT (High Intensity Interval Training) training and with our 7 day advance booking system you can always be sure to secure a place in your favourite class. Our Les Mills instructor led classes are extremely popular throughout the country with Body Pump, Body Attack and Killer Abs being among the favourites. If you ever miss a class, you have the added benefit of being able to book the studio at no additional cost so that you can catch up privately or as a group using our virtual classes on the projector screen through the Wellbeats control panel. Now that winter is upon us and road training is not so appealing we have state of the art Watt bikes on site that give you the best indoor cycling experience you could possibly wish for. You have to truly experience it to understand the full benefits it can give you. Our gym team can offer the perfect welcome package which includes a free gym induction and the jump start into personal training, with £75 off personal training for every member that signs up and brings a copy of this magazine with them. Matt, our personal trainer is dedicated to helping you achieve your goals and he can work with absolute beginners or inspiring athletes. We can offer personalised bespoke training programs to you and your lifestyle. Are you ready to get started? JOIN TODAY!